Ionic can provide evaporators for achieving zero discharge requirement from industries. 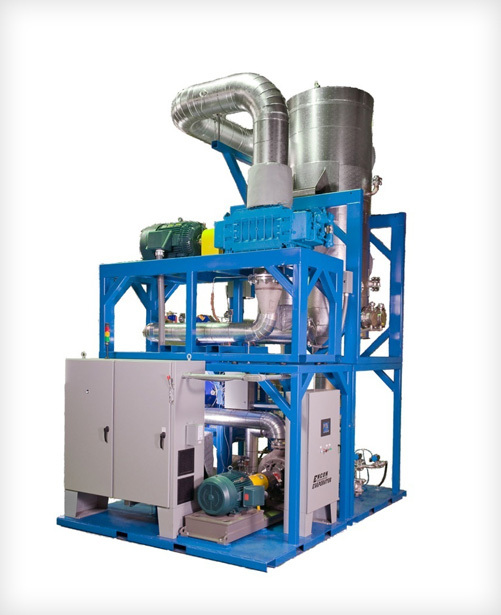 We can provide conventional Multiple Effect Evaporators (MEE) or Mechanical Vapour Compression (MVC) based systems and Simple Thermal Evaporation systems for evaporating concentrated wastewater. In MVC based systems 90% of the input energy is recovered and hence the operating cost is 1/10 of the MEE system. For customers looking for low life cycle cost MVC system is ideal. For customers looking for simple evaporators with high energy cost for evaporation and low Capex Thermal Evaporators are the ideal one.